Twitter is a free social networking and micro-blogging service that enables users to send and read other users’ updates known as tweets. Tweets are text-based posts of up to 140 characters in length which are displayed on the user’s profile page and delivered to other users who have subscribed to them (known as followers). Senders can restrict delivery to those in their circle of friends or, by default, allow anybody to access them. Users can send and receive tweets via the Twitter website, Short Message Service (SMS) or external applications. The service is free to use over the Internet, but using SMS may incur phone service provider fees. Want Daily S.C. Real Estate News via E-mail for FREE? 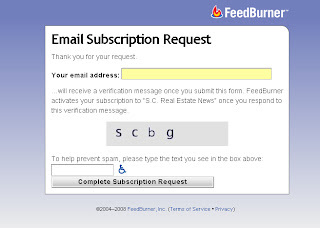 Posted by: MBD | Comments Comments Off on Want Daily S.C. Real Estate News via E-mail for FREE? Please follow the link on the upper right side of this web page to receive a daily e-mail update. You will receive a summary of the new posts around 11:00 AM. Our current e-mail subscriber list includes developers, mortgage bankers, municipal officials, attorneys, contractors, economic developers, appraisal reviewers and brokers. Of course you can unsubscribe at any time, although we have only had four people unsubscribe since the site was in March 2008. I assume that means that subscribers are finding it useful. Click on the “envelope” at the bottom of this post to forward this to your co-workers so that they can sign up as well. Note: I don’t use any ad tracking or the like, nor do I sell e-mail addresses to anyone! Comments Comments Off on Want Daily S.C. Real Estate News via E-mail for FREE? The Community Bankers Council of the South Carolina Bankers Association will hold its 2009 Fall Peer Group Session on September 10, 2009. I have been asked to speak at the event. My presentation will cover factors affecting property values in South Carolina; which property types are performing best and which ones to watch; winners and losers ‐ which SC regions are doing well; and how the recession has affected appraising – what bankers should know. I always enjoy the South Carolina Bankers Association events and look forward to participating in this one. If you feel that a similar presentation would be helpful for your company or organization, please give me a call. Such language is seen as a victory by professional appraisal organizations, who for years have been asking for greater emphasis on the qualifications of appraisers and policies that promote the use of highly qualified and experienced appraisers. “We applaud Freddie Mac for addressing this important requirement that will have a positive effect on millions of home buyers and sellers,” said Jim Amorin, MAI, SRA, president of the Appraisal Institute. Daily S.C. Real Estate News for FREE! Posted by: MBD | Comments Comments Off on Daily S.C. Real Estate News for FREE! Please follow the link on the upper right side of the web page to subscribe to daily e-mail updates. We update our website constantly and you will receive a summary of the new posts around 11:10 AM. Our current e-mail subscriber list includes developers, mortgage bankers, municipal officials, attorneys, contractors, economic developers, appraisal reviewers and brokers. Comments Comments Off on Daily S.C. Real Estate News for FREE! I would like to take an opportunity to thank those of you that have recently referred appraisal and consulting assignments to me. I can think of two instances where a new client referred to S.C. Real Estate News. We’ll call it a return on the investment of time that I make everyday. If you are new to the site, I own commercial and residential appraisal firms…..
Integra Realty Resources – SC provides commercial appraisal and investment consulting services. I am the managing partner of the Columbia and Greenville offices, although we have 56 offices nationwide. We also provide market study and tax appeal services as well. IRR-Residential has 47 offices in 21 states, making it the largest residential appraisal firm in the nation. I own the Columbia and Greenville franchises of IRR-Residential. IRR-Residential also has a variety of options available to assist with HVCC compliance. Please let me know if I can ever assist with your appraisal needs. Please follow the link on the upper right side of the web page. We update our website constantly and you will receive a summary of the new posts on a daily basis around 11:00 AM. Our current e-mail subscriber list include developers, mortgage bankers, municipal officials, attorneys, contractors and brokers. Of course you can unsubscribe at any time, although we have only had three people unsubscribe since the site was in March 2008. I assume that means that subscribers are finding it useful. Note: I don’t use any ad tracking or the like nor do I sell e-mail addresses to anyone! 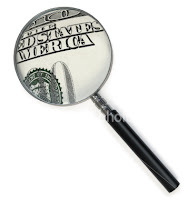 Should you care about how much money your (residential) appraiser makes? That question is at the heart of a dispute in the mortgage industry, pitting independent appraisers against established banks, which in recent years have built vast networks of affiliated appraisers, through appraisal management companies. Appraisers who work on behalf of these companies typically receive less pay than those who do not. Some appraisers say the lower fees mean consumers are less likely to get a high-quality appraisal, which could jeopardize their loans. I was recently invited to speak at the 1st Quarter Real Estate Breakfast, put on by the City of Greenville’s Economic Development Department on March 18, 2008. The event is typically attended by 45 to 50 commercial real estate agents from Greenville and Greer. The purpose is for the City to interact with the real estate community by providing updates and relevant information to them. My presentation will provide an overview of non-residential property sale statistics for Greenville County in addition to investment criteria for various property types. The property sale statistics were collected through research from Greenville Property Pulse – http://www.gppulse.com/ The Greenville brokers are well versed on vacancy trends and rental rate statistics in Greenville, so there is no need to even address that. What I hope happens, is that the brokers will leave with a better understanding of how the current economic crisis has affected the role of the appraiser and how general valuation methodology has changed. The more that brokers and appraisers are on the same page when analyzing investments, the better off everyone will be. I look forward to speaking at the event on Wednesday morning. As posted a few weeks ago, banks and municipalities appear to be in great need of reliable, current real estate market information. If I can assist with providing a snapshot of the current commercial real estate market, please give me a call. • Lenders must ensure there is no influence upon the appraiser in the development or valuation conclusion of the appraisal. A clear line must be drawn between loan origination / production staff and the appraisal process. • Members of the lender loan origination and production staff are forbidden from selecting or even recommending the selection of the appraiser. • Lenders or their agent (vendor management company or correspondent lender) must be responsible for the selection and payment of the appraiser. Mortgage brokers are specifically barred from such appraiser selection, meaning the appraisers must be selected by the upstream lender rather than the mortgage broker. • A lender shall not utilize an appraiser employed by the lender or an affiliate of the lender, unless the appraiser, or affiliate for which the appraiser works, is wholly independent of loan origination and production. • Lenders are not to provide estimated or targeted property values to the appraiser. This also includes a prohibition against providing the appraiser with the estimated or targeted loan amount. • Removal of appraisers from approved vendor lists, or addition to exclusionary lists, requires a prompt written notice including the specific reasons for such action. Learn more about the Home Valuation Code of Conduct and ways to assess your company’s current appraisal practices. The free webinar is scheduled for February 26th at 10 a.m. CST. IRR-Residential is committed to providing our clients with HVCC compliant solutions. We offer solutions that meet industry needs for appraiser selection, oversight and independence. Let us help you create a customized HVCC compliant solution for your organization and help you get ahead of the curve. The Appraisal Institute has increased its stance against broker price opinions by informing several state appraiser board chairs of the possibility of illegal BPOs being performed in their states. 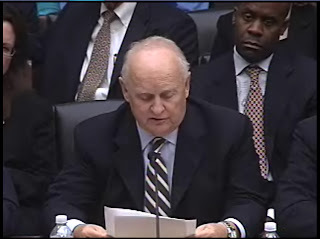 In a joint letter, the Appraisal Institute, American Society of Appraisers, American Society of Farm Managers and Rural Appraisers, and the National Association of Independent Fee Appraisers informed appraiser board chairs in 23 states across the country about the possibility that real estate brokers and sales associates in their states may be performing BPOs illegally for the purposes of loan modifications, workouts and foreclosures. Hagens Berman is investigating Wells Fargo and its appraisal subsidiary, Rels Valuation, based on reports the companies allegedly engaged in a rigged appraisal process designed to boost profits at the expense of homeowners and independent appraisers. This will be interesting. The lack of transparency is why many banks and appraisers do not trust many appraisal management companies. Our appraisal management model is much different, with standardized fees and a higher degree of transparency to the lender clients. With interest rates approaching reaching historic lows, the application volume for mortgages jumped a seasonally adjusted 48 percent last week compared with the previous week, according to the Mortgage Bankers Association’s weekly survey. Application activity for the week ending December 19th was 124.6 percent over the same period a year ago, the Washington, D.C-based MBA said. The spike in applications coincided with another drop in mortgage rates, as the government’s efforts to unfreeze the residential-mortgage market show further signs of having the desired effect. Applications to refinance existing mortgages increased 62.6 percent on a week-to-week basis, while applications filed for mortgages to buy homes increased a seasonally adjusted 10.6 percent. As the applications are rising, are there enough appraisers still in business to handle the workload? Many residential appraisers have changed careers in the last 9 months. Also, residential lenders can’t afford to take their eye off of the HVCC changes that are rapidly approaching. The first two quarters of 2009 will be very interesting for the residential lending world. Call or e-mail me if IRR-Residential can assist with your residential appraisal needs. Posted by: MBD | Comments Comments Off on What is a CCIM? Recognized for its preeminence within the industry, the CCIM curriculum represents the core knowledge expected of commercial investment practitioners, regardless of the diversity of specializations within the industry. The CCIM curriculum consists of four core courses that incorporate the essential CCIM skill sets: financial analysis, market analysis, user decision analysis, and investment analysis for commercial investment real estate. Following the course work, candidates must submit a portfolio of closed transactions and/or consultations showing a depth of experience in the commercial investment field. After fulfilling these requirements, candidates must successfully complete a comprehensive examination to earn the CCIM designation. This designation process ensures that CCIMs are proficient not only in theory, but also in practice. Comments Comments Off on What is a CCIM?